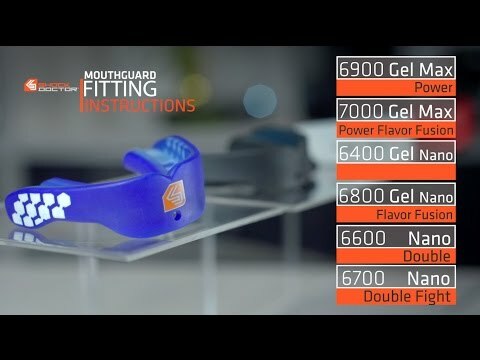 Gel Max Power Mouthguard is rated 4.3 out of 5 by 8. Rated 4 out of 5 by Brian D. from Pretty Cool I did just order this item. My child chipped their tooth in a soccer game so hoping to prevent that in the future. He is only 9 and I do think it would be better if it were smaller in his mouth. Rated 2 out of 5 by Sarah L from Design Rubbed Off I was so excited about this mouthguard because I got the version with the fangs design. I was able to get a really good fit. Before I could even wear it once I noticed the fang design was already rubbing off. Super disappointed! Rated 5 out of 5 by Pranav A. from Great fit, looks dope Looks great, works great, does what it should. Use this for boxing and wrestling.